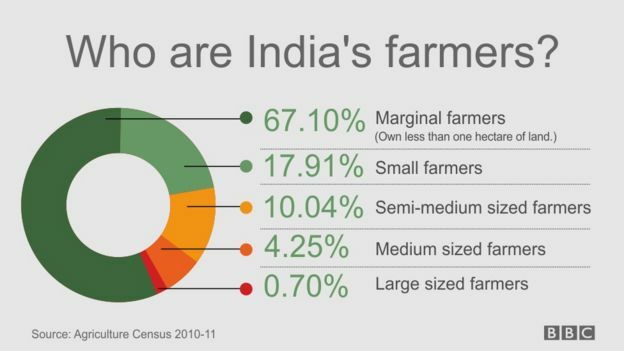 A. India remains predominantly rural — out of a population of 1.2 billion, 72 per cent live in villages. A large no of people are engaged in pre-capitalist mode of productions. 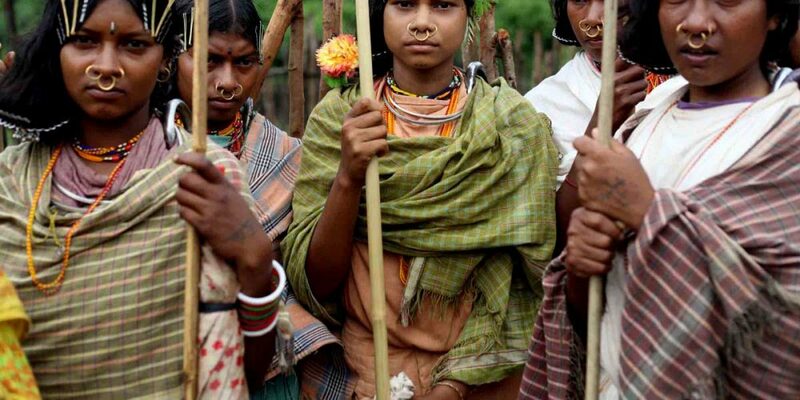 Two of India’s Supreme Court judges have passed a groundbreaking judgement recognising India’s tribal people as the nation’s ‘original inhabitants’ and strongly condemning their ‘historic injustice’. The judges praised the tribes of India who ‘have managed to preserve many of their tribal customs despite many oppressions and atrocities from other communities’. They recognised explicitly that the country’s tribal people, or adivasis, are ‘descendants of the original inhabitants of India’, unlike the remaining 92% of the population who are ‘descendants of immigrants’. The official Indian government position has been that all its citizens are ‘indigenous’ not just the adivasis. The Bhil woman’s case was examined in the context of ‘thousands of years’ of ‘terrible oppression and atrocities’ towards the country’s adivasi people. The judges blamed the ill-treatment of adivasis on the commonly held view of tribal people as ‘inferior’. The judges warned that the injustice suffered by the adivasis is not yet a thing of the past and that ‘now efforts are being made by some people to deprive them even of their forest and hill land where they are living, and the forest produce on which they survive.’ The impacts of being removed from their land can be devastating for tribal communities. India’s apartheid: the world has chosen to ignore! To be born a Hindu in India is to enter the caste system, one of the world’s longest surviving forms of social stratification. Embedded in Indian culture for the past 1,500 years, the caste system follows a basic precept: All men are created unequal. The ranks in Hindu society come from a legend in which the main groupings, or varnas, emerge from a primordial being. From the mouth come the Brahmans—the priests and teachers. From the arms come the Kshatriyas—the rulers and soldiers. From the thighs come the Vaisyas—merchants and traders. From the feet come the Sudras—laborers. Each varna in turn contains hundreds of hereditary castes and subcastes with their own pecking orders. A fifth group describes the people who are achuta, or untouchable. The primordial being does not claim them. Untouchables are outcasts—people considered too impure, too polluted, to rank as worthy beings. Prejudice defines their lives, particularly in the rural areas, where nearly three-quarters of India’s people live. Untouchables are shunned, insulted, banned from temples and higher caste homes, made to eat and drink from separate utensils in public places, and, in extreme but not uncommon cases, are raped, burned, lynched, and gunned down. Just before 7am one morning in Mumbai, three men clearing a sewer pipe were overcome by deadly fumes and collapsed. Their deaths sparked a cat-and-mouse pursuit across India. Records show the bodies of the trio were rushed to an embalmer, where a certificate was issued declaring them safe for flying. Permissions were sought in their home state of Orissa. Within hours, a plane had taken off from Mumbai, bearing their remains, bound for the east Indian state. In a small office in central Delhi, a group of activists had been quietly tracking the bodies. One of their agents had watched the coffins being loaded onto the plane. An urgent message was sent to a member of their network in Orissa: get to the airport. Find those men. Chasing the remains of sewer cleaners across the country, and gathering post-mortem evidence to force their employers to pay compensation, has become regular work for the volunteers of the Safai Karmachari Andolan, or Sanitation Workers Movement. For the past three years, the organisation has been recording every sewer death they can, stretching back three decades, to build a database many Indian lawmakers would prefer not exist. They are revealing the toll of what Indians call “manual scavenging”, one of deadliest occupations in the world, and starkest examples of the continuing blight of caste on millions of lives. Hundreds of thousands of Indians are still thought to make their living as scavengers, emptying dry toilets by hand, or cleaning septic tanks and sewers without protection. They belong overwhelmingly to a single community: the Valmiki caste, regarded as the very bottom of the intricate system that still governs who most Indians marry, what they eat – and who unclogs their sewers. The sun has barely risen in Fatehpur Sikri, a small city south of Delhi, when the veiled women gather carrying battered baskets and brooms. Manual scavenging in 2018 takes two forms, split along gender lines. Men clean sewers; women go house-to-house clearing waste from deep holes used as toilets. Khushba approaches the first of the 40-odd house she services with practised ease. “Get away, this is not clean,” she cautions, mouth and nose covered tightly by her scarf, as she douses the hole with fly ash and scoops its contents into her basket. Caste is governed by an obsession with purity. Traditionally, food or water touched by Dalits is considered to be spoiled; in extreme cases, even their shadows were regarded as polluting. This apartheid persists, even in Indian cities, severely limiting the work available to women such as Ladja, another manual scavenger. Five hours’ drive from Fatehpur Sikri are the gleaming tower blocks of Gurgaon, a satellite city south of Delhi, home to multinationals, breweries and other badges of modern India. As India has modernised, so too has caste discrimination. Deepak owns a smartphone and wears aviator sunglasses. But at least twice a month, he is forced to enter the septic tank at the automotive factory where he works to clean it without protection. In September, three of his colleagues died at the bottom of a company tank. “It was a total chemical smell,” says Binesh, the only survivor. He entered the tank first and collapsed in seconds. The other three piled in after him, managing to secure a rope around his waist before they too succumbed. He was the only one pulled out alive. Incidents such as these spark calls for compensation, but few Valmikis seriously question why they do this work, says Wilson. Part of what makes caste so stubborn is its divine sanction in the Hindu tradition. “It has been given legitimacy by the religion,” he says. Indian governments have passed several pieces of legislation outlawing manual scavenging, the first in 1955. But the gap between Indian law and what prevails on the ground is often vast. Nobody has ever been convicted for using scavenger labour. A flagship promise by the Narendra Modi government to build toilets for every Indian offers hope for liberating some scavengers. Robotic technology is also being trialled in Kerala state to automate the work. But activists say a lasting solution will come in the form of women such as Ladkunwar. Four years ago, she too wielded a basket and broom to clean latrines in Rasulpur, her village near Agra. Until one morning, when she felt overcome by the truth of her work. “I was carrying someone else’s faeces on my head,” she says. One-by-one, Valmiki women in Rasulpur began to leave the profession. It took four years to eradicate it completely. Many still struggle to make an alternative living. “There are lots of jobs we are not allowed to do. There is still a taint,” Ladkunwar says. 8.64 millions of India’s 67.76 million tribals live in the eight north-eastern states of India. They are Sikkim, Mizoram, Arunachal Pradesh, Assam, Manipur, Nagaland, Meghalaya and Tripura. The region is close to many international borders e.g. Myanmar, China, Bhutan, Nepal and Bangladesh. The land with its natural beauty and cultural heritage has always topped the list of an ideal destination for travellers as well as colonialists looking for its natural resources. Different ethnic groups and tribals have their own culture and tradition and all speak their own tribal languages. This has made Northeast India one of the most culturally diverse regions of the world. Each tribal community has their unique way of living. Tribal people mostly live and earn through the hills and forest areas. Their history shows that one cannot take the mainstream view of the recent liberation struggles being simply religious or cultural or economic. The effort to control the resources is basic to it. It finds an expression in terms of nationality, identity and ethnicity. The tribals refuse to accept the depletion of their resources caused by the commercialisation of forest and agricultural produce. The phenomenon goes back to the days of British colonialism and three Anglo-Burmese wars (1824-1885). The ethnic consciousness that grows from this encounter with the dominant cultures and exploitation leads to identity expansion or several groups merging to expand their identity without giving up their individuality. In this process they also develop a belief in a common origin. Apart from commercialisation of their resources, most struggles in the north-east are in reaction to the oppressive homogenising trend of the dominant “one State one nation” thinking of the Indian State and the tendency “to take the degreee of Aryanisation as the measure of Indianisation”. The struggles in the north-east of India are struggles for national self-determination of oppressed nations. Figure no’s same as the source. How much does India spend to counter Maoism? Under the Security Related Expenditure (SRE)—where the Union government reimburses the expenditure incurred by ‘Leftwing Extremism’-affected states in training and operational requirements of the security forces, insurance of police personnel etc.—India spent Rs370.14 crore during the last two financial years. The CRPF, which is at the fore-front of fighting Maoists, received Rs16,228.18 crore in the previous fiscal year. It has been increased by another 1,635.35 crore to Rs17,868.53 crore for 2017-18. At the federal level, the many agencies are part of the Ministry of Home Affairs, and support the states in their duties. Larger cities also operate police commissionerates, under respective state police. All senior police officers in the state police forces, as well as those in the federal agencies, are members of the Indian Police Service (IPS).